Get a weekly dose of sampling joy with HotNewHipHop’s Samples Of The Week. I don’t know how big a faux pas it is to admit I’ve only just noticed this feature but I’m willing to take that risk for the good of the site. Since 30th January, HotNewHipHop have been running a weekly feature called Samples Of The Week where the site picks out the best samples of that week. In all honesty, it’s a feature we love so much, we wish we’d thought of it first but more importantly, we’re just glad for some positivity towards sample culture rather than the unending news of sample lawsuits. This week, HotNewHipHop chose samples from the likes of Travi$ Scott, Big K.R.I.T. and Mac Miller and if you’re a fan of Gladiator, Diana Ross or British rock band The 1975, you might be interested in what they did. 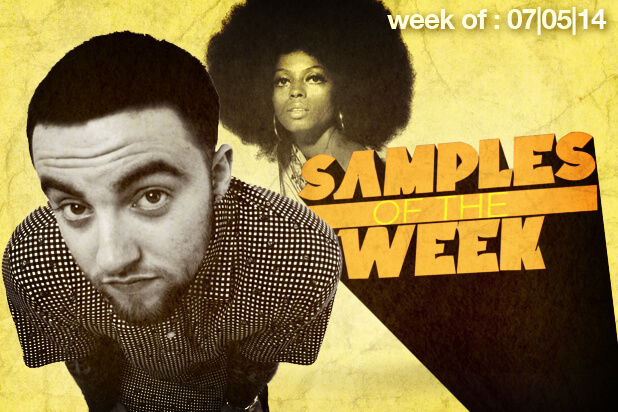 Head over to HotNewHipHop to check out their Samples Of The Week archive.